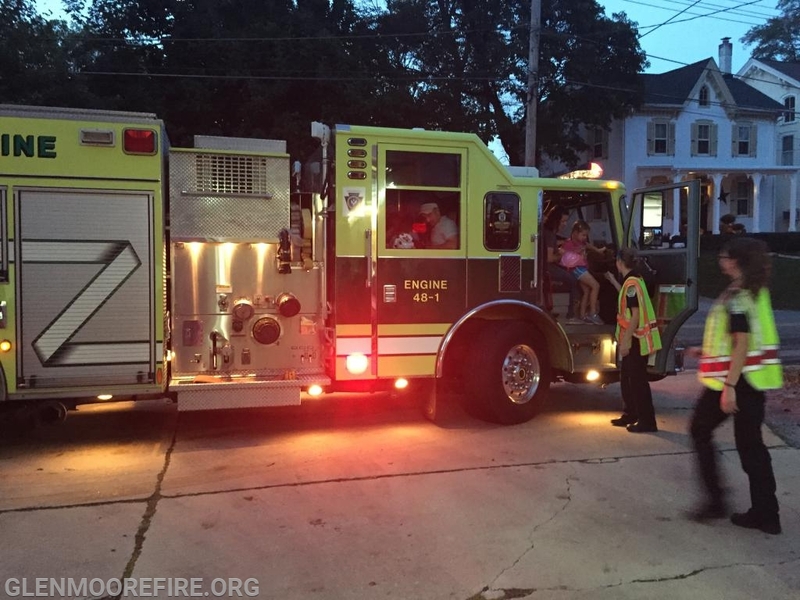 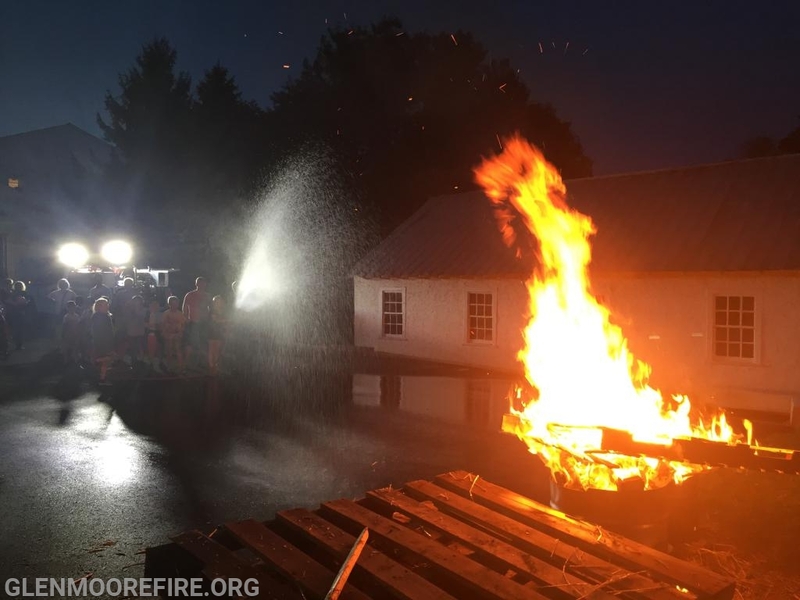 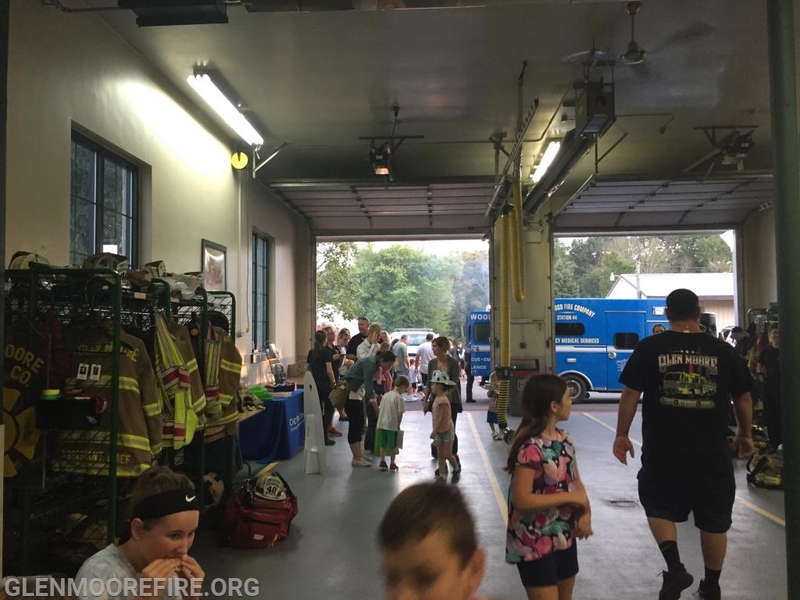 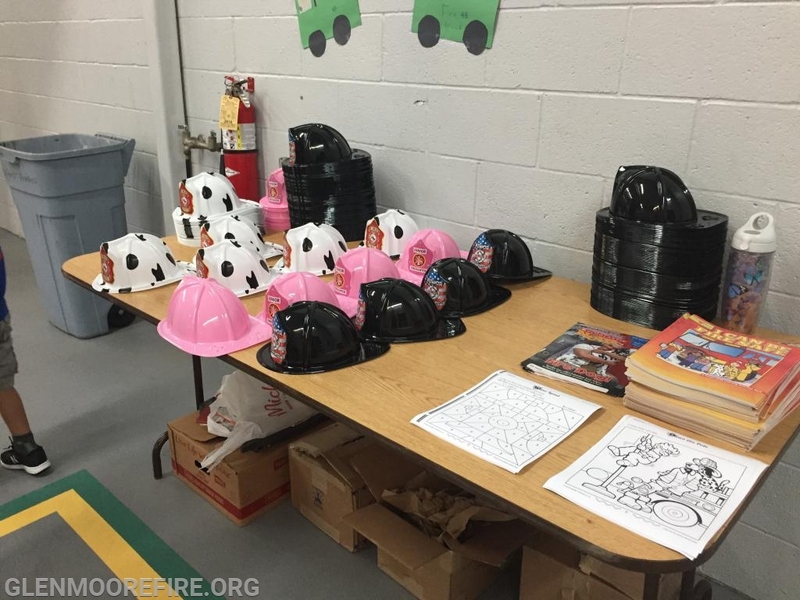 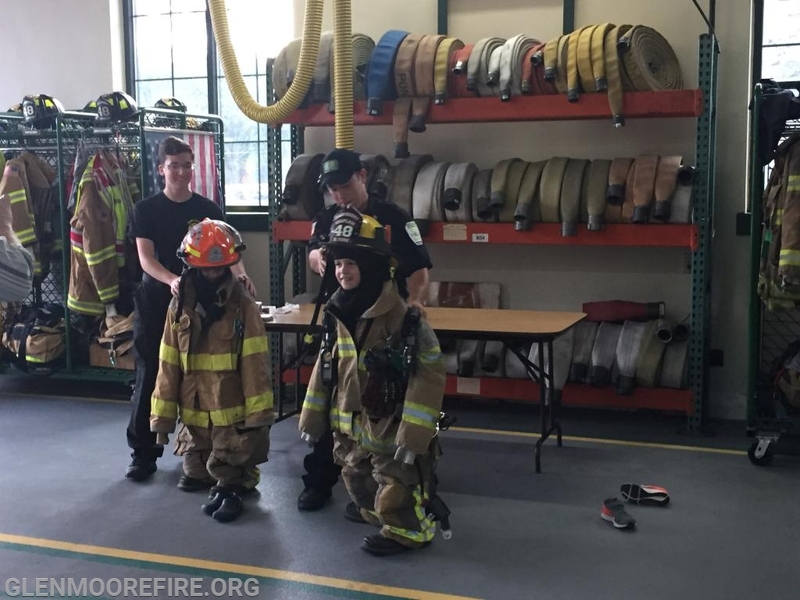 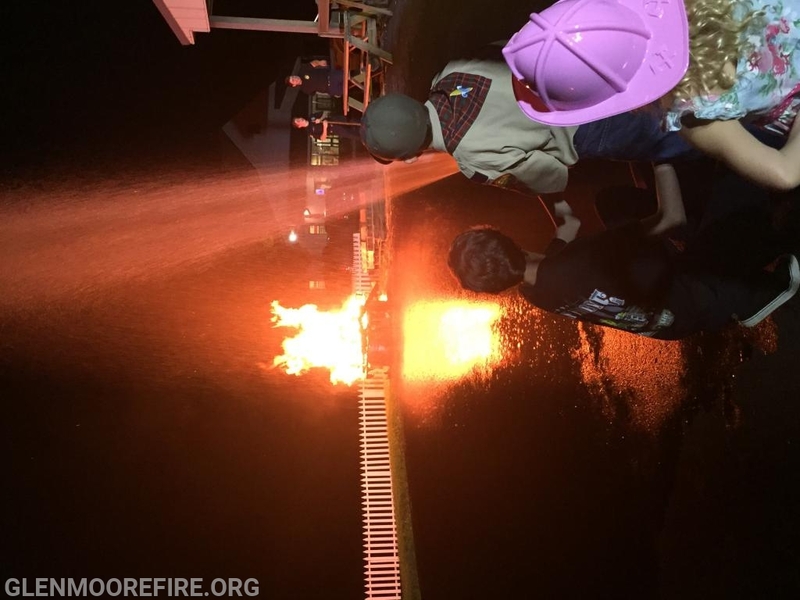 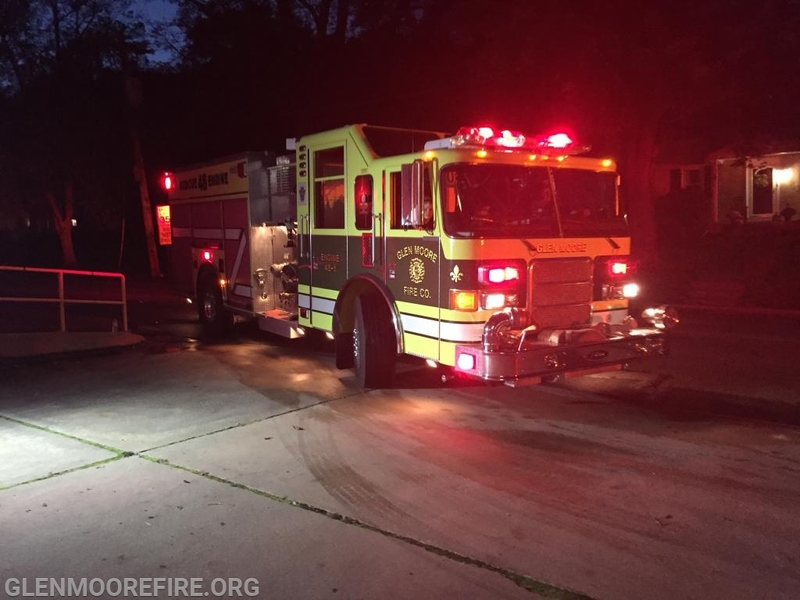 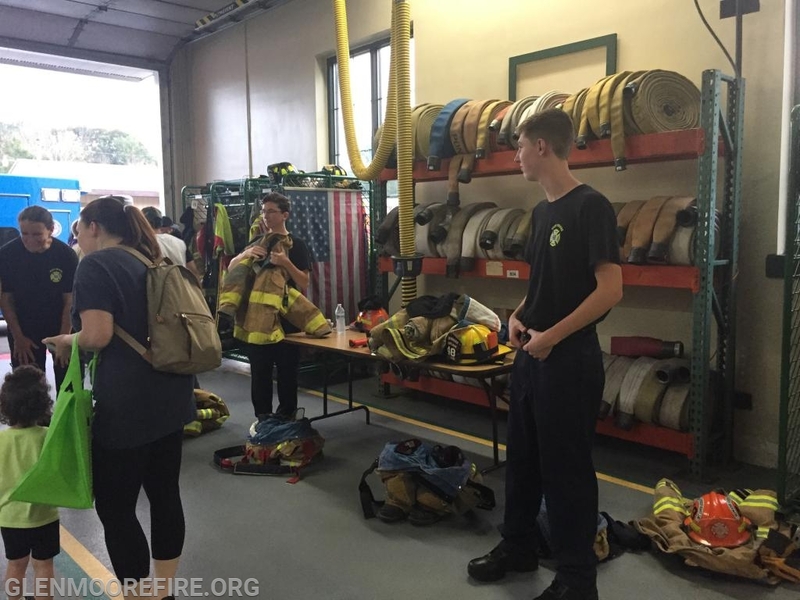 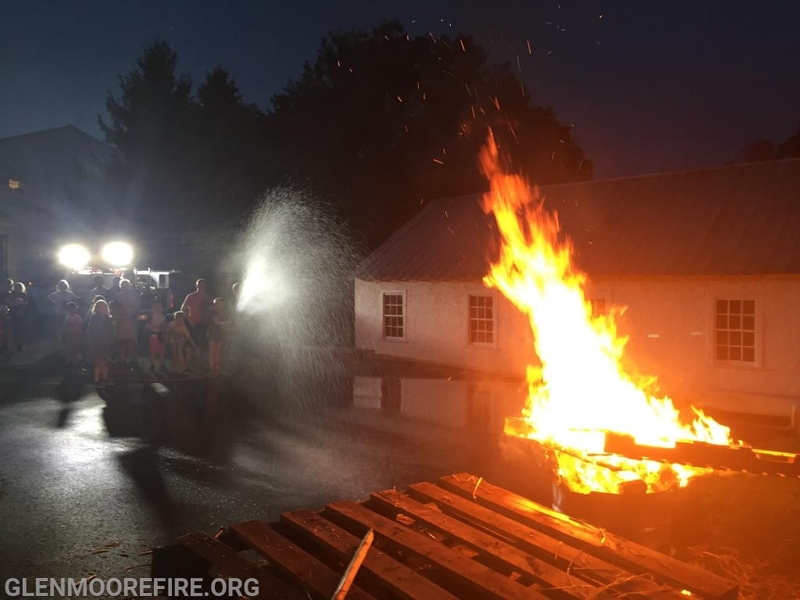 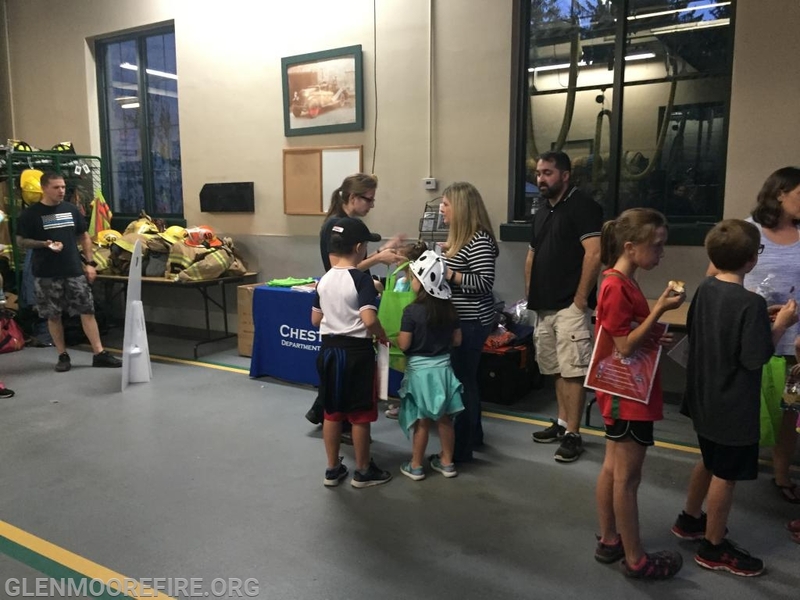 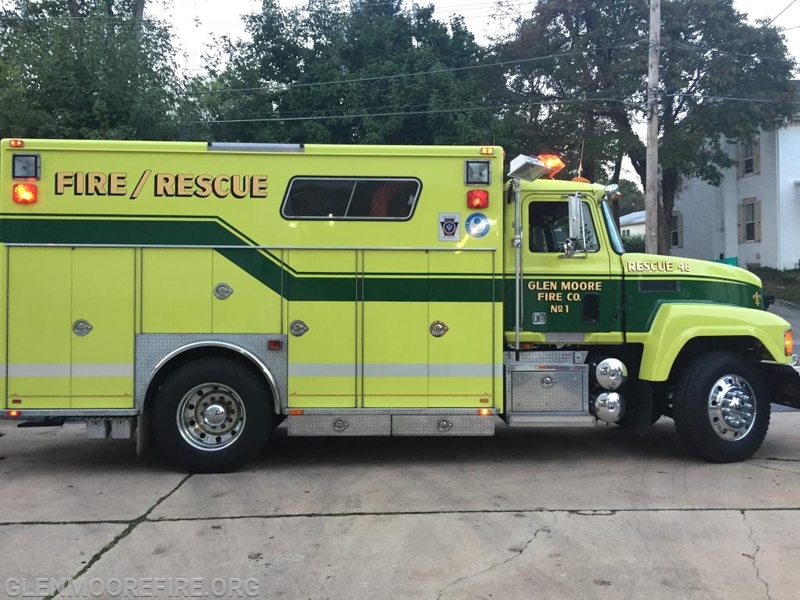 Last evening, the Glen Moore Fire Company hosted its annual fire prevention open house. 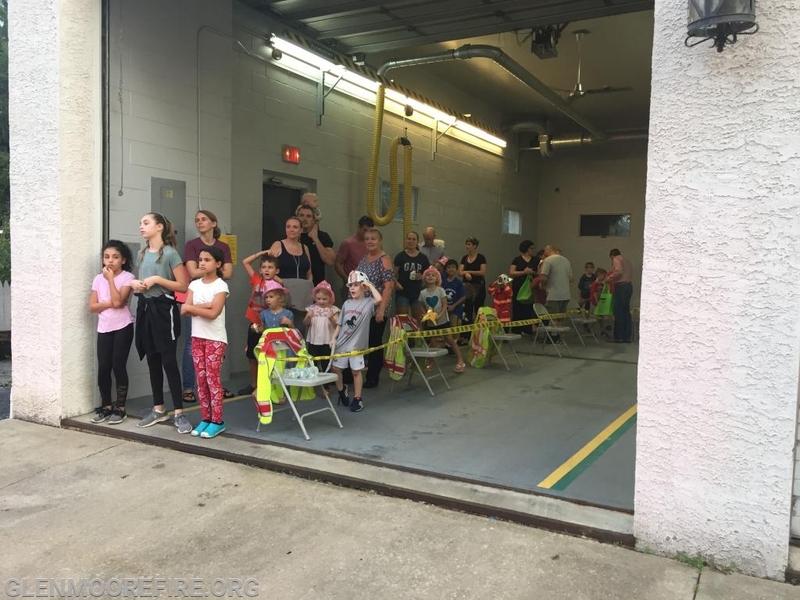 The weather was beautiful and we had a great turnout. 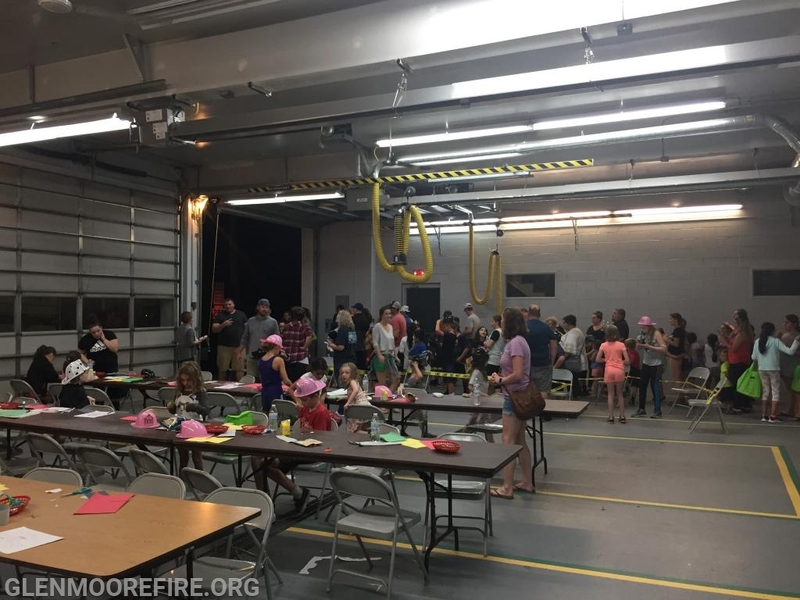 Well over 300 people attended the event. 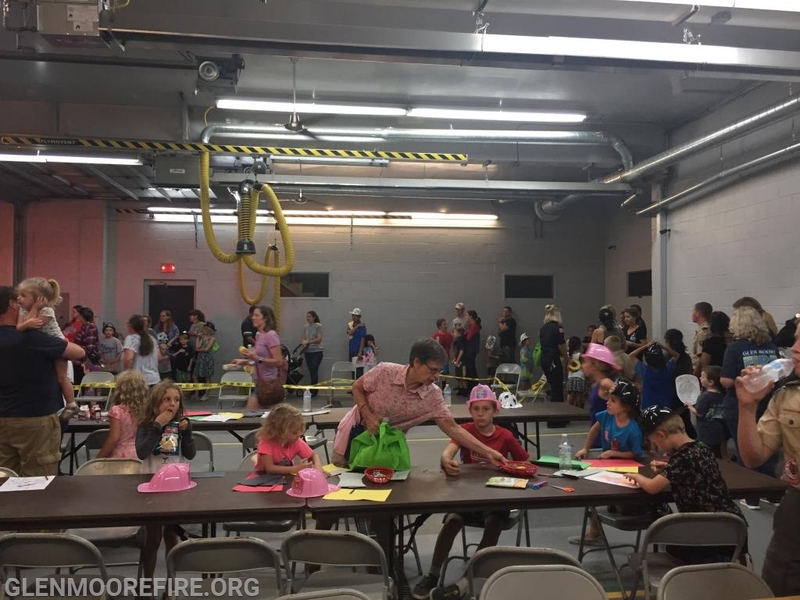 Attendees were treated to fire truck rides; tours of the station; and kids crafts. 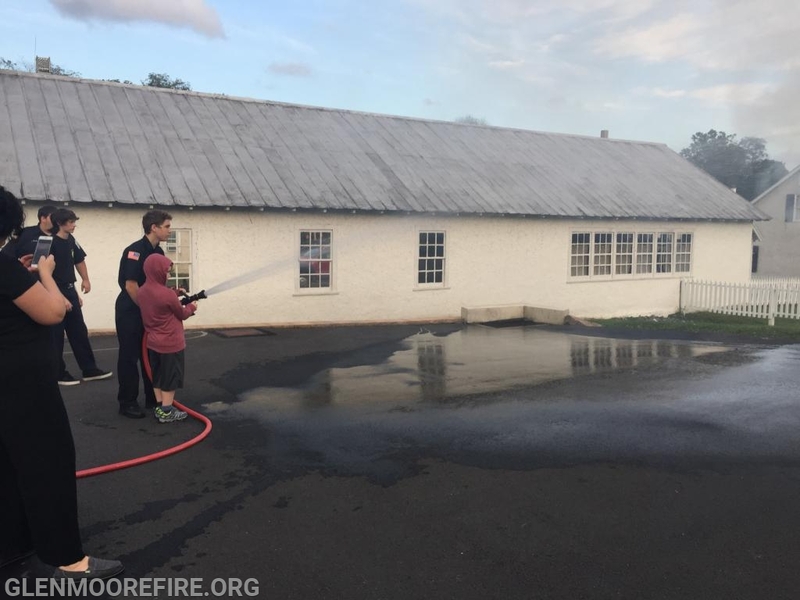 The children had the opportunity to try on the gear and use the hose to put out a fire. 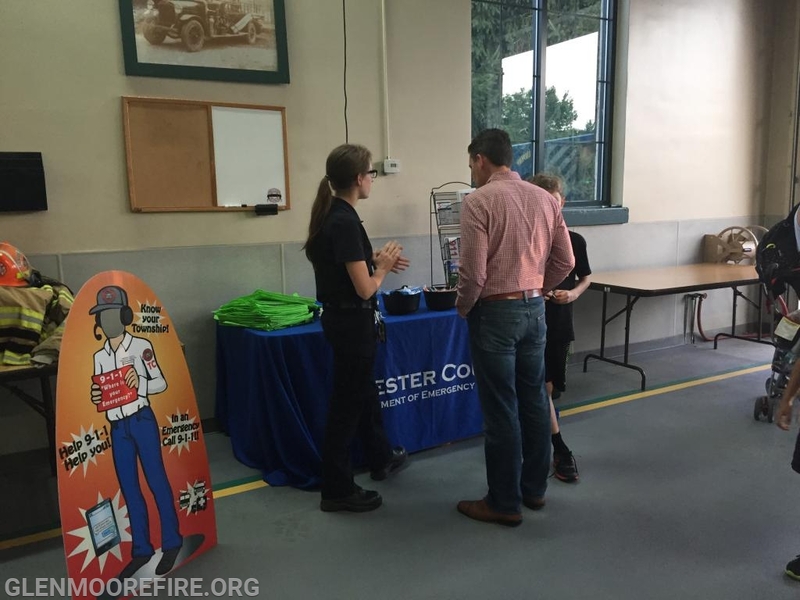 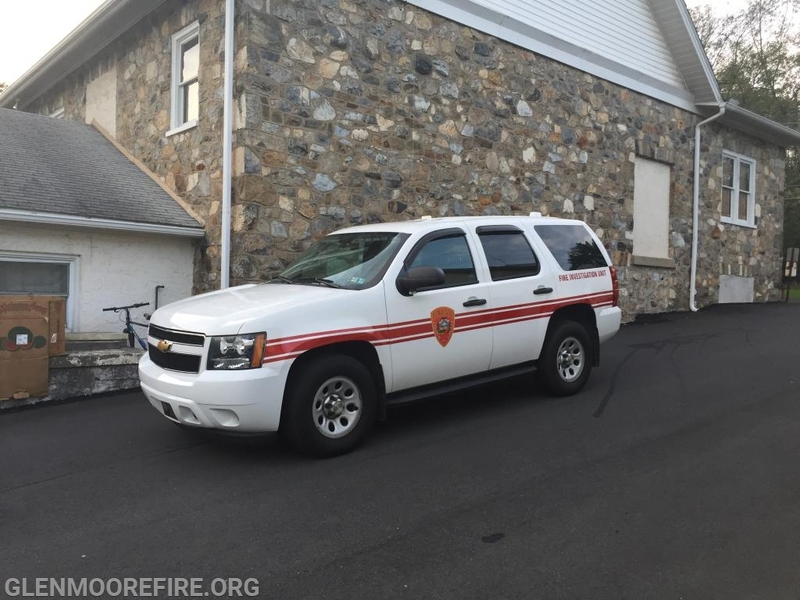 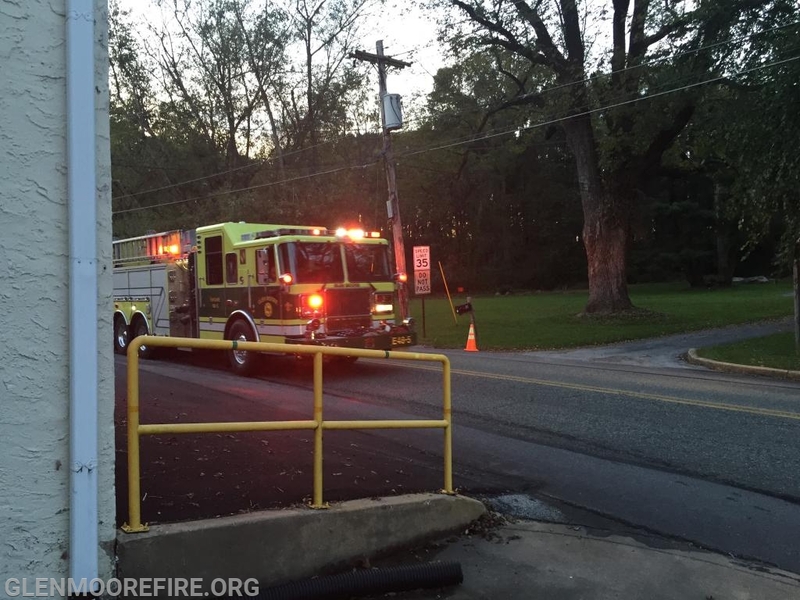 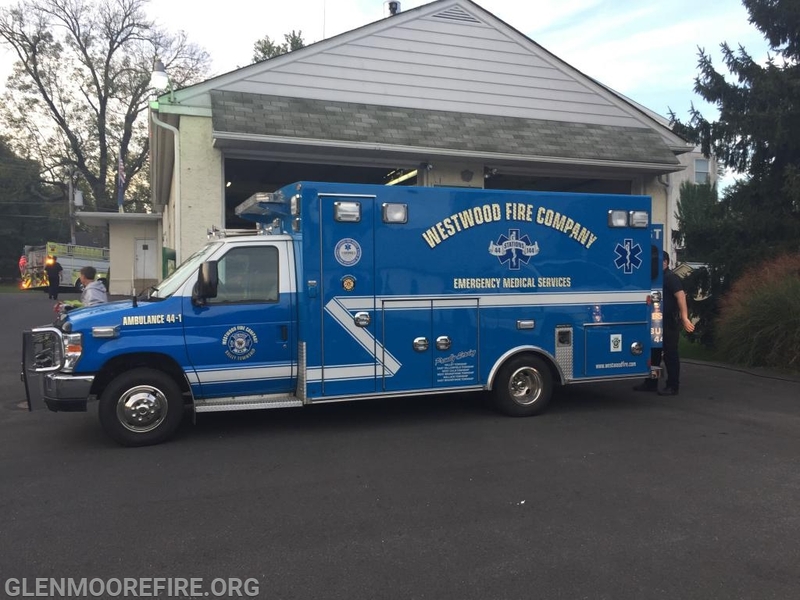 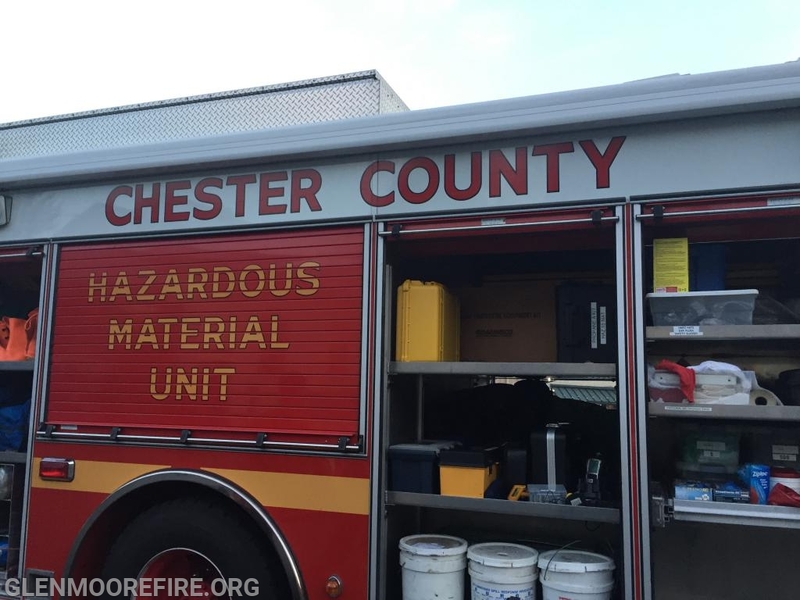 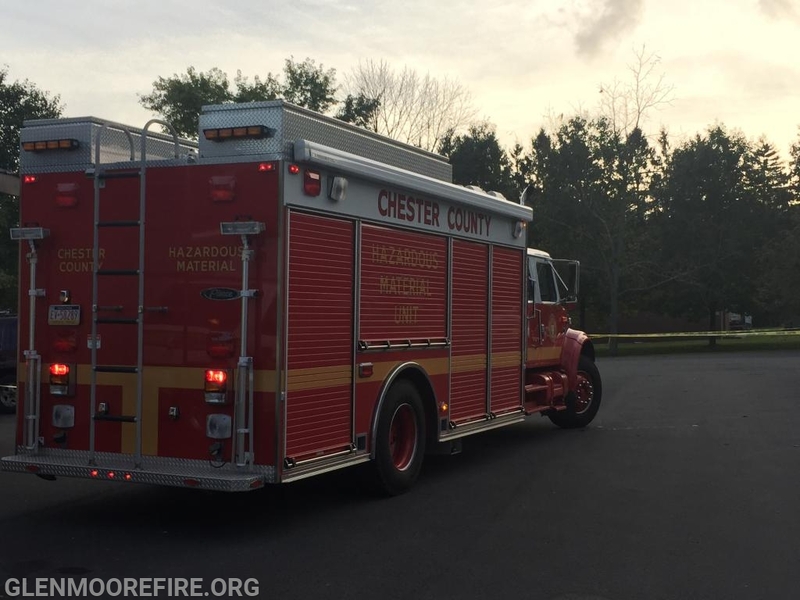 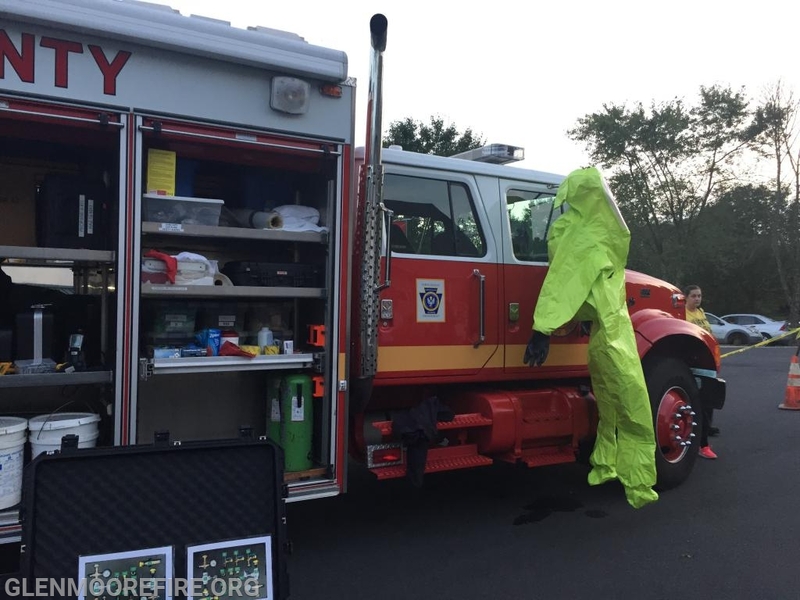 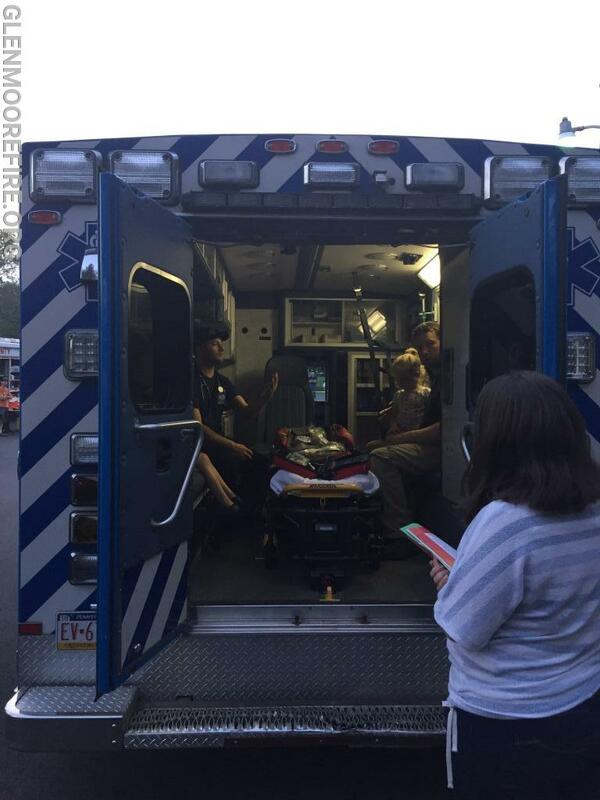 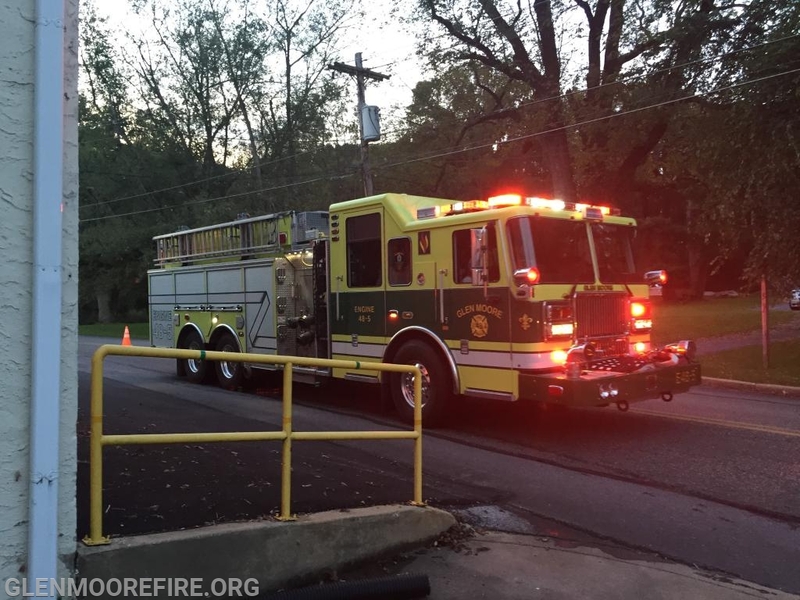 Several agencies were on hand to discuss their role in the county, including the Chester County Hazardous Materials Unit (Station 15); Westwood Ambulance; and the Chester County Department of Emergency Services. 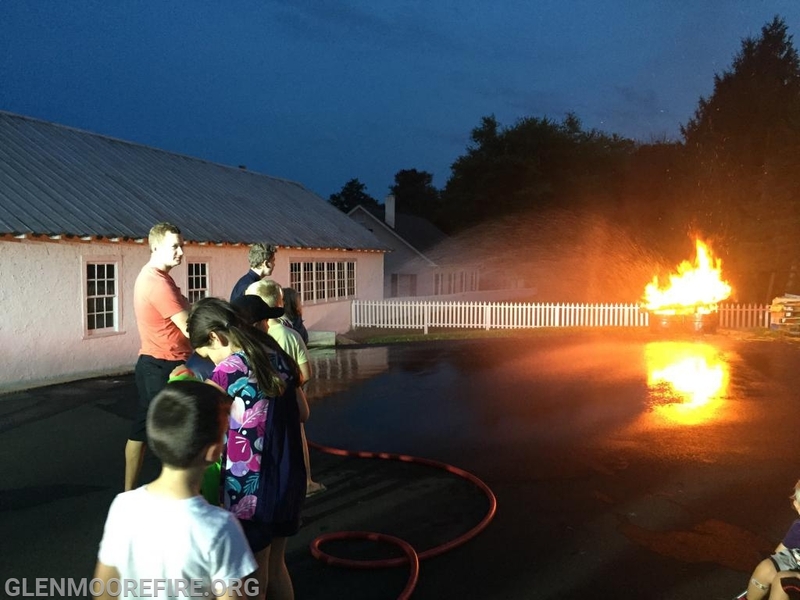 Later in the evening, the firefighters put on a live demonstration by extinguishing a car fire. 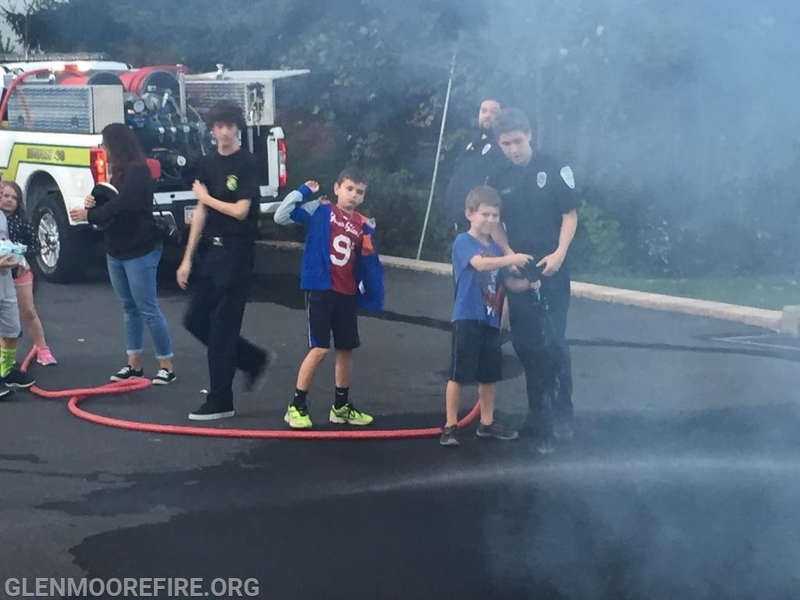 The Glen Moore Fire Company would like to thank our community for their support day in and day out. 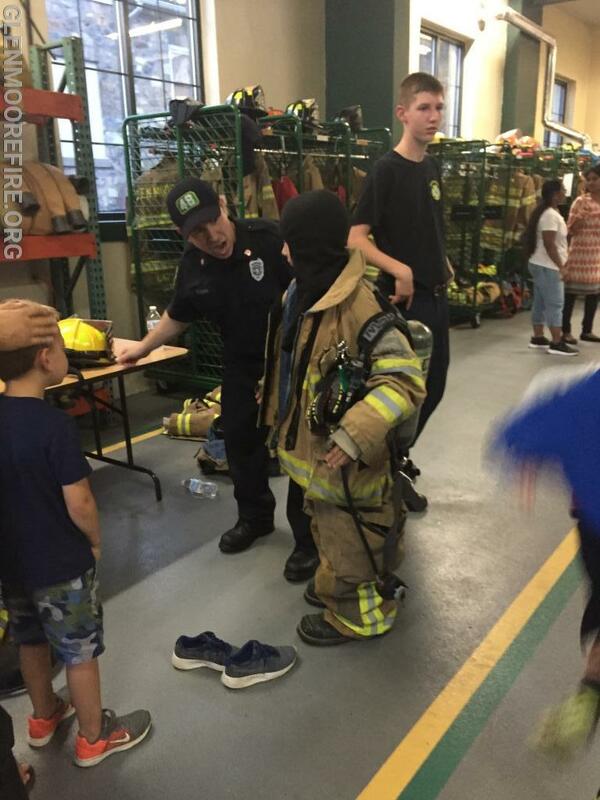 You are the reason why we do what we do. 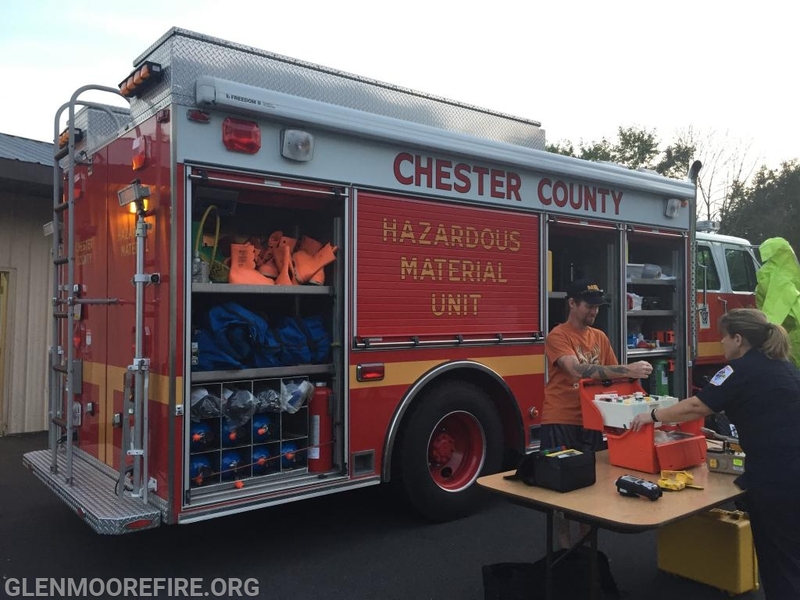 We also want to thank the Chester County Hazardous Materials Unit (Station 15); Westwood Ambulance; and the Chester County Department of Emergency Services for attending our event and supporting us. 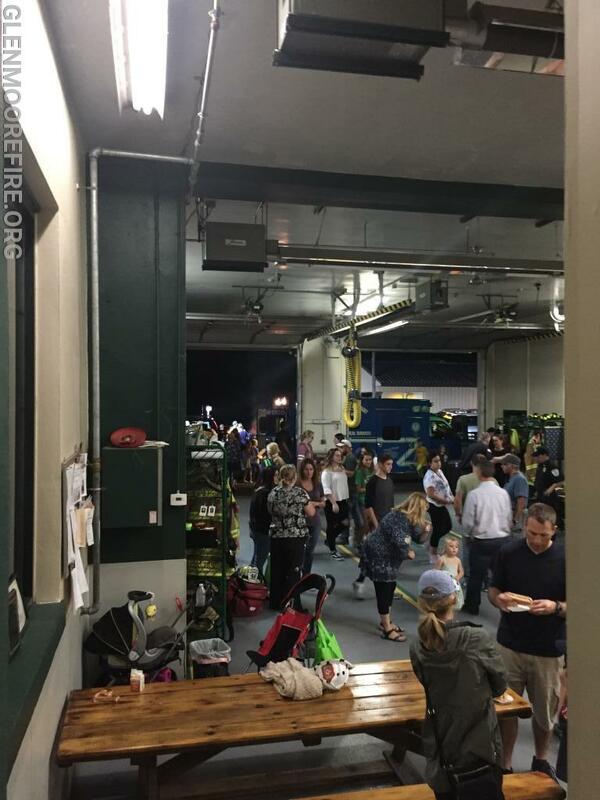 Lastly, the fire company would like to thank and recognize those who donated food and drinks to support this event. 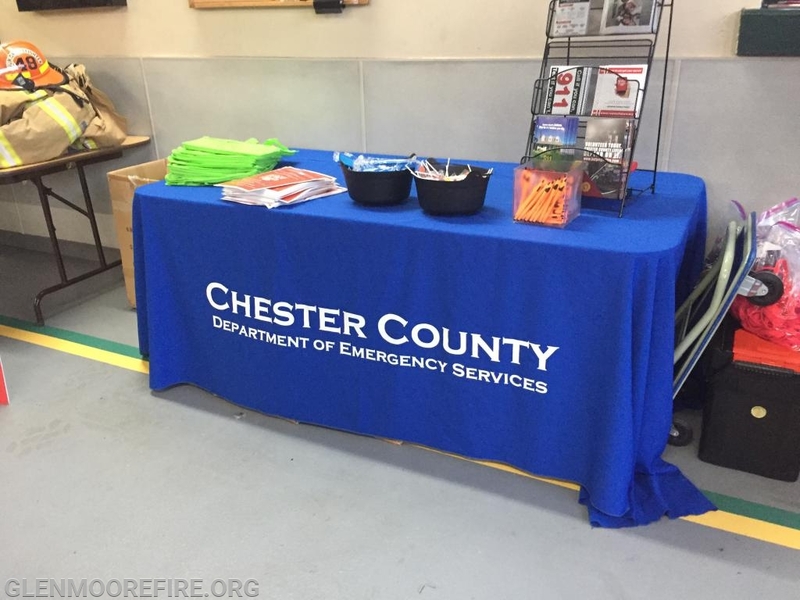 These include Herr's, Wawa, Clover Farms Dairy, Philly Soft Pretzel Factory, and Wegman's.